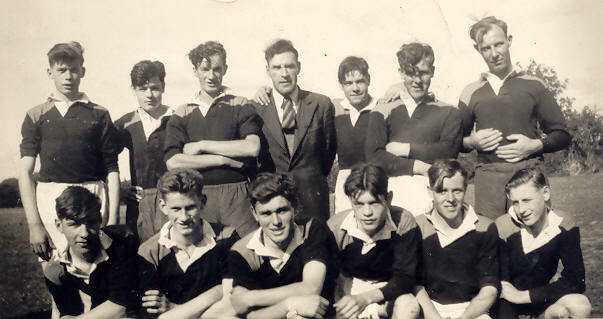 The Shamrocks team were not active again until the 1950�s when they became known as U� Donnabhain Rossa CLG Mullach Breac, when they registered a team under this name to play in the 1953 season. Three of the names from the 1930�s reappeared in this year, namely Tommy Cunnigham, Bob McClure and Eddie O�Hanlon. Mullabrack 1980's - Championship Decade! 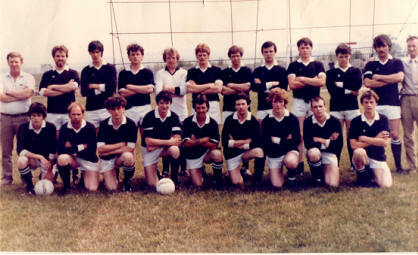 The 1980�s were to prove quite fruitful for the club with promotions, tournament wins and the Junior championship for the first and only time in 1983. Although the 1980�s have been the glory years for the Mullabrack club, due in no small measure to a close knit local footballing talent, the 1990�s have, by contrast, seen the club in constant decline. With falling numbers actually playing gaelic football in the Markethill area, it was difficult to keep the club going. However, due to the tremendous efforts of the various football committees over the last decade, the gaelic football tradition in Mullabrack is still proudly displayed. 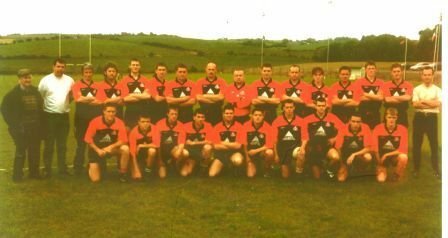 During 2001 further development work take place on the Ballindarragh pitch when it was drained and shored, with the major part of the cost being borne by a local dedicated supporter of Mullabrack. Lighting was erected for training purposes by a number of the players, Stephen and Phelim Sands, James Lavery and Martin McCooey. The first record of camogie in Mullabrack was in the late 1950�s, early 1960�s. Two local girls Josie Toner and the late Marie McConnell who played for Ballymacnab, at the time. They decided to try and get a camogie team started in Mullabrack.